Hot Pumpkin Mug. Sip Some Cozy. 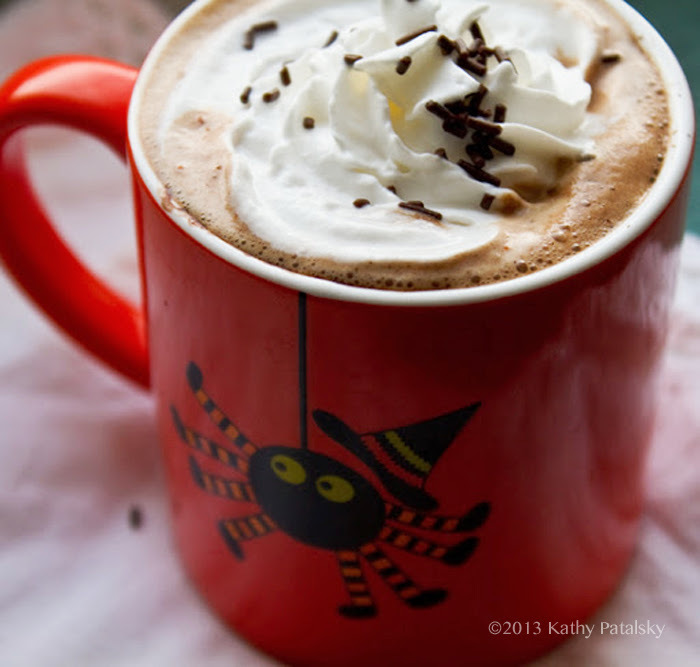 Why does chocolate get to have all the hot beverage fun come fall and winter? Pure Chocolate. Hot cocoa, aka hot chocolate, is a classic, beloved warm beverage that celebrates one thing: chocolate. No espresso added. No tea or fancy main ingredient additions, just chocolate. Hot chocolate. Chocolate melting in a creamy white base. No water, no fancy syrups, just chocolate. Sometimes a few marshmallows and whip to accent. Pure Pumpkin. 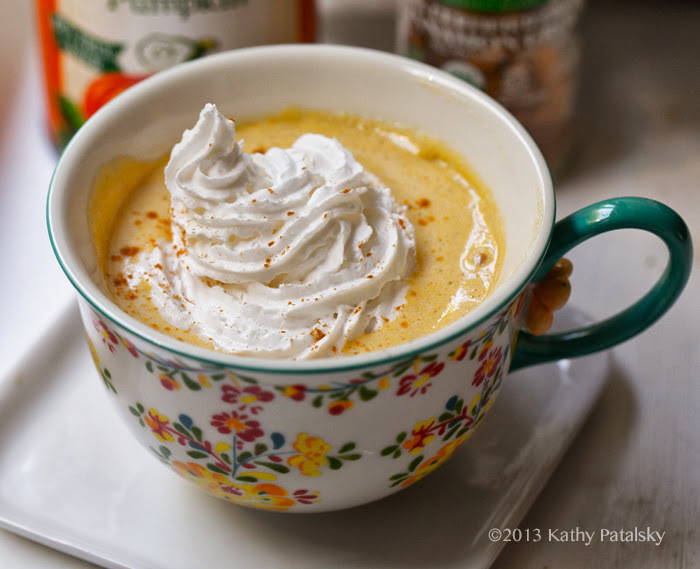 So I'm letting pumpkin have a bit of this pure beverage action and taking away the tea and espresso additions that you usually find in "pumpkin lattes" for a flavor that is pure pumpkin bliss. A few warming spiced accents like cinnamon, ginger, vanilla and maple in there too. 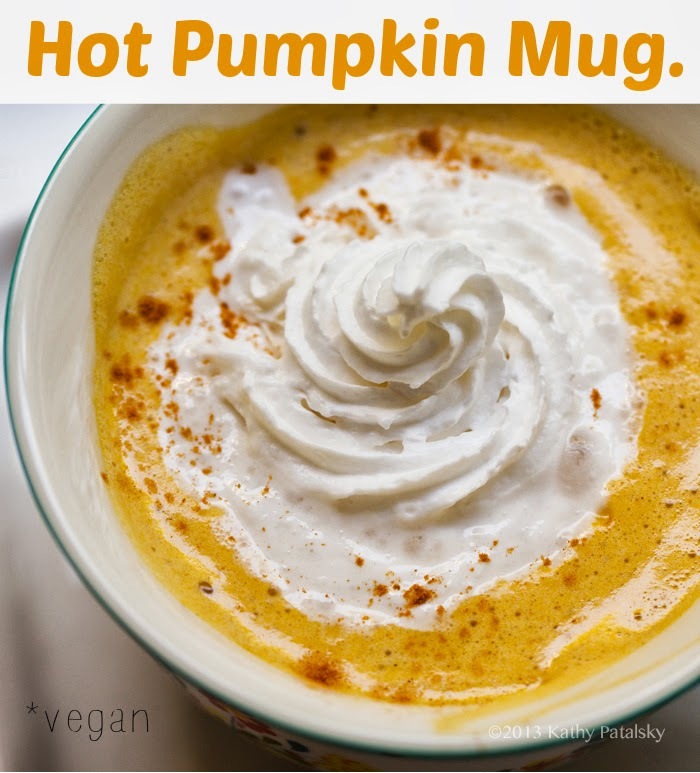 Hot Pumpkin Mug. This sip is perfect for caffeine sensitive folks and kids too! You can totally curl up under a soft blankie around bedtime and sip this cozy mug to help you wash away a busy day. No worrying about caffeine jitters or insomnia. 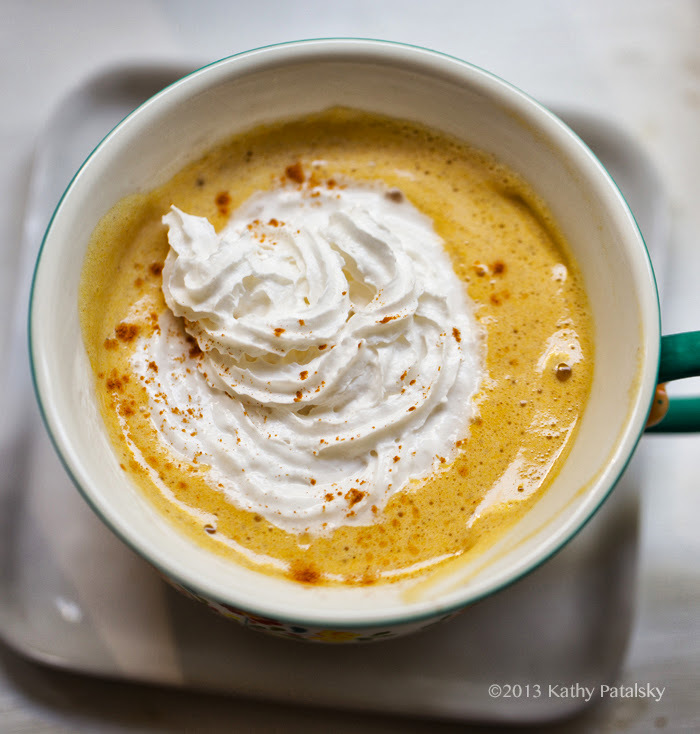 Cozy, creamy pumpkin will settle your nerves and calm your senses. 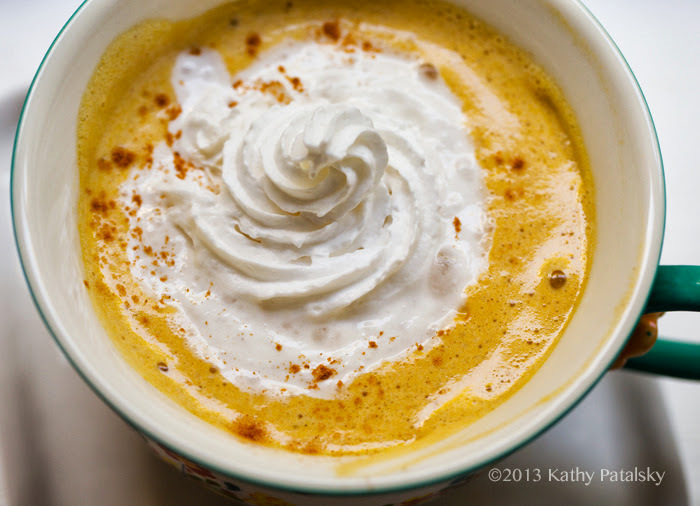 Grab a can of pumpkin and give hot cocoa a run for its money! Back up cocoa. There is a new hot steamy mug on the table. And this golden orange, creamy-bliss sip means business. Go ahead, stare directly at the glowy golden ring of pumpkin. Hypnotic, yes? Without whip.. 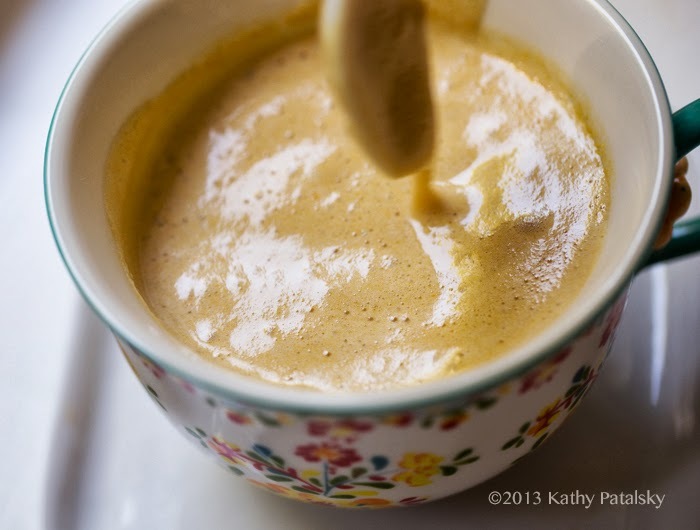 It has this awesome pumpkin foam that naturally forms from the simmering and blending in my recipe.. But adding whip is pretty yummy too..
First Can of the Season. 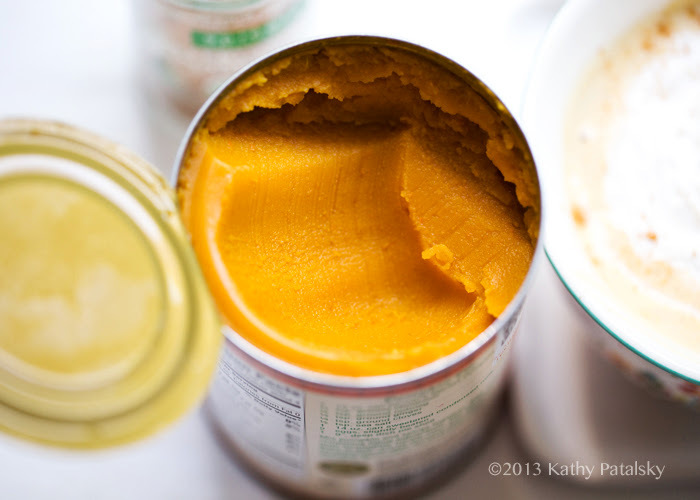 Yesterday I bought my very first can of pumpkin for the 2013 fall/winter season. And so it begins. Pumpkin madness. I guess I will embrace my early season pumpkin cravings because I know that every time late December rolls around, I'm pretty much all pumpkin-ed out. But for now, bring on the pumpkin frenzy. The perky orange can I purchased last night was burning a hole in my pantry this morning. So I cracked the sucker open. I wanted a pumpkin spice latte .. but without the caffeine. Hmmm... And my Hot Pumpkin Mug was born. 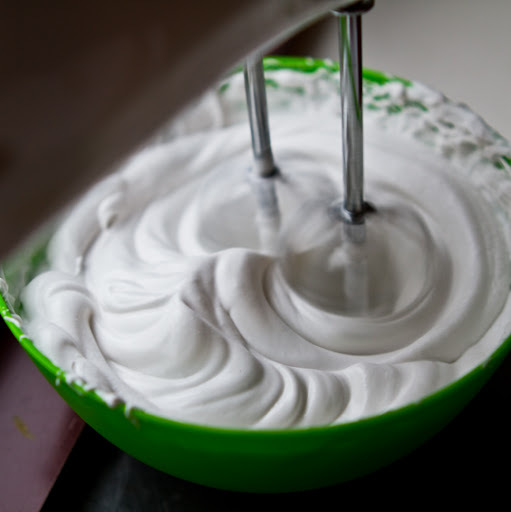 Some soy whip in the fridge for an easy swirl of creamy bliss on top. Coconut whip, if you prep ahead of time, would be even better. Crave Pumpkin Mugs this Fall. 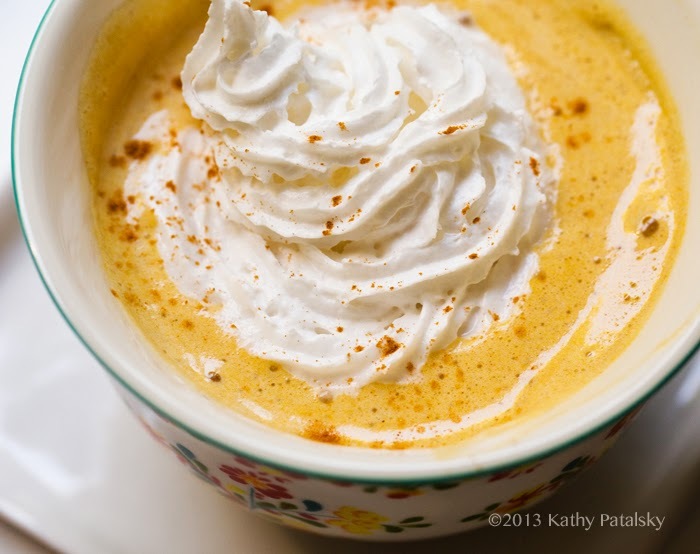 This is a pure pumpkin hot beverage that mimics the appeal of hot cocoa. Most often you find pumpkin in a latte. Well move aside shot of espresso. Take a breather chai tea bag. Simmer down splash of hot coffee - this is pure pumpkin in the bevie spotlight. Nog you say? But this is healthy! I'm not calling this a "pumpkin nog" (though I considered it) simply because nogs, to me, imply high-fat high-calorie high-suger sips. Desserts almost. This pure pumpkin beverage is good for you! 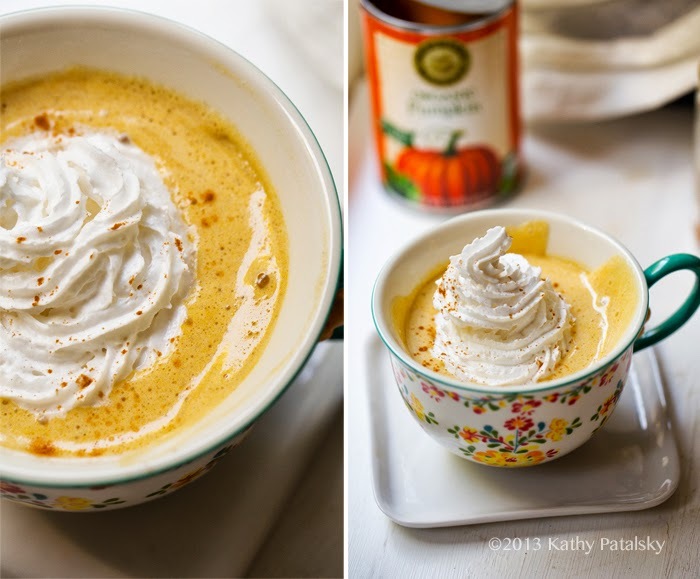 You get a nice dose of pumpkin puree (not just fake or sugary syrups or added flavorings like at coffee houses). Pumpkin is low in calories, rich in fiber, potassium and vitamin A. Plus all those spices are warming to your body. The base can be either soy or almond milk. And if you add some whip, vegan varieties like soy and coconut are much healthier than any whip you will find at Starbucks. Speaking of Starbucks, it is a shame that their Pumpkin Spice Latte isn't vegan (have you signed the petition??) but guess what, this concoction is BETTER. So there. And if you want to add a shot of espresso or tea bag to this recipe you can .. but try the pure pumpkin version first! 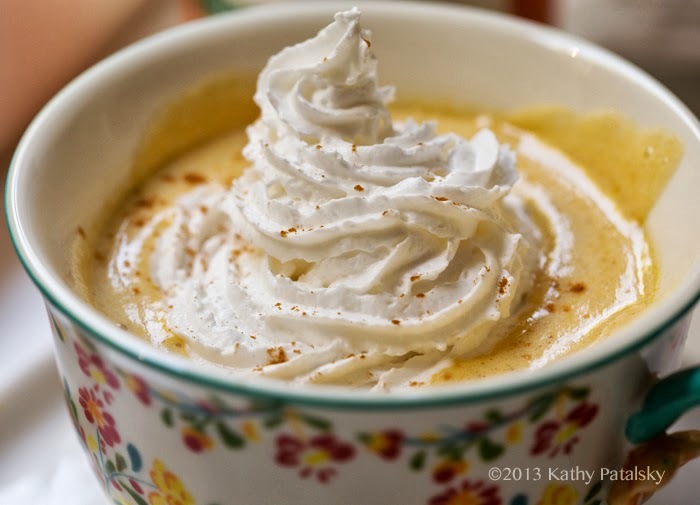 You may be surprised how pumpkin can steal the show and impress your taste buds all on its own. Don't let hot cocoa have all the fun this fall. Make your own coconut whip for the topping or use a store-bought canned soy whip. This pumpkin sip is ready to party. 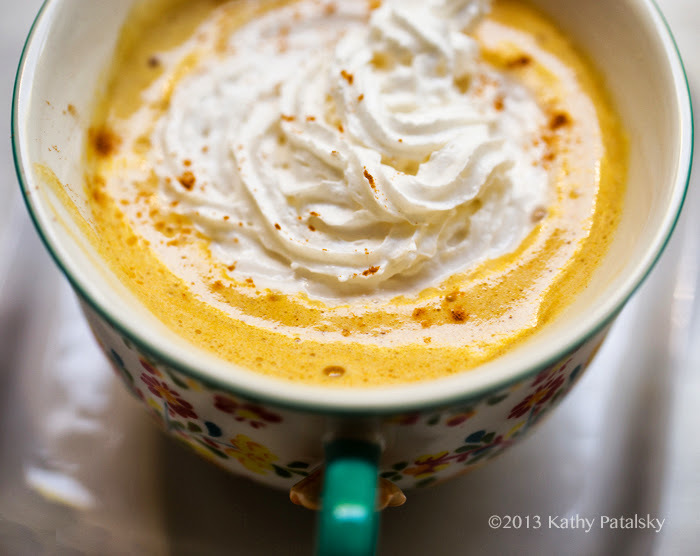 This creamy, cozy alternative to hot cocoa tastes like pumpkin pie! Coconut whip on top. Dairy-free. Pumpkin spice flavor. Add all ingredients except the maple syrup to a blender. Blend on low until mostly smooth. A few pumpkin lumps are ok. Room temp pumpkin blends more smoothly. Pour mixture into a small sauce pot. Bring to a boil and then reduce to medium and allow to simmer until any tiny clumps of pumpkin melt into the hot liquid. Simmer for about 2-4 minutes. Transfer the mixture back into the blender, add the maple syrup and blend again on low until frothy. 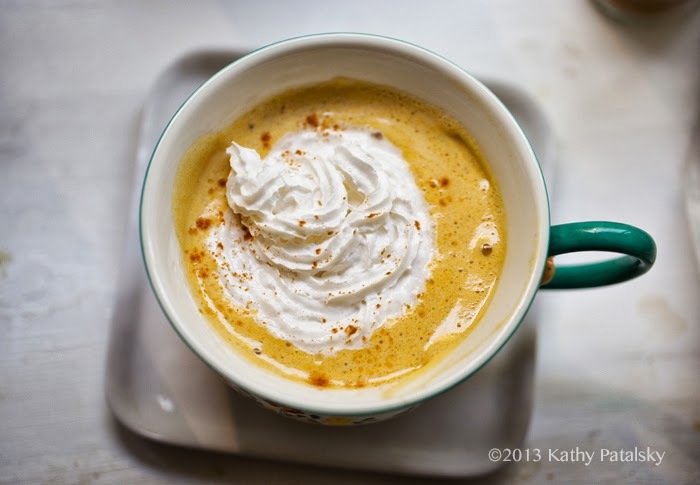 Pour into a serving mug and top with optional soy or coconut whip and a sprinkle of pumpkin spice or cinnamon or nutmeg. Serve warm and steamy. To quickly reheat or re-warm, a few seconds in the microwave can do it. Want more pumpkin fun? 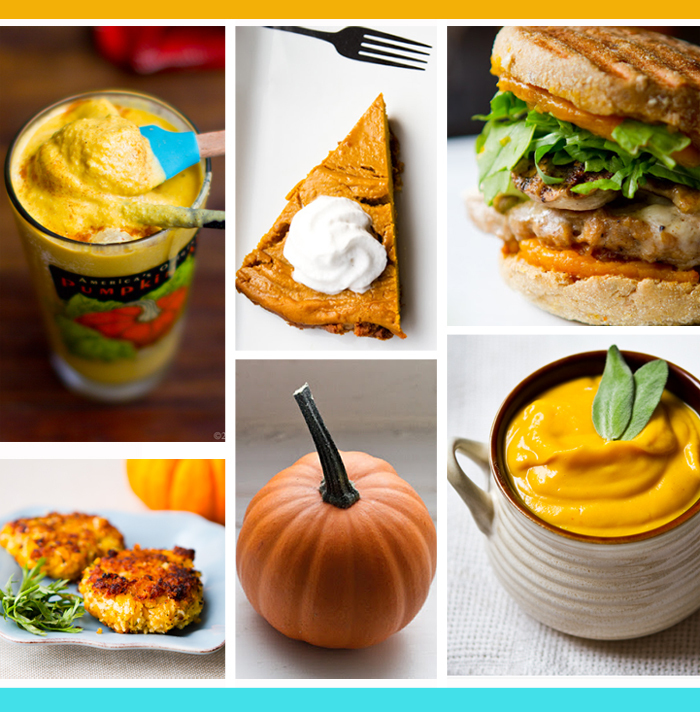 Try my 25 best pumpkin recipes! Browse non-dairy milk options here in my milk review.